Claire Taylor joined Stokes Lawrence's Financial Services Group in Seattle. Taylor comes from Colvin + Hallett, where she handled tax disputes, IRS audits and civil litigation. Prior to that she was a litigator with the U.S. Department of Justice Tax Division. Stokes Lawrence also has offices in Yakima. John Oppenheimer, founder and CEO of Columbia Hospitality, is the newest board member for Anthony's Restaurants. 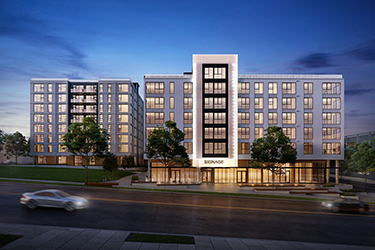 Oppenheimer has founded private hospitality-related businesses such as Seattle Hotel Group, which developed Four Seasons Hotel and Residences Seattle. Seattle Art Museum and the Betty Bowen Committee selected five artists as finalists for this year's Betty Bowen Award: Natalie Ball, Amy Bernstein, Bruce Burris, Deborah Lawrence and George Rodriguez. The award honors a visual artist residing in Washington, Oregon or Idaho for original, exceptional and compelling work. The winner gets $15,000 and their work displayed at SAM.